Let Our Year 2018 Burst With Colors. Let's Start with Our Doors. Let Our Year 2018 Burst With Colors. Let’s Start with Our Doors. Are you willing to envision your 2018 to burst with colors? Or would you prefer the safe route of same old same old? For many of us comfort zones are important, those invisible barriers we create to limit our lives to what is comfortable and known to us. However if we embrace changes in life, and they do come with regularity, our experiences may surprise us with greater and deeper personal growth. Let’s take doors, for instance, since those are tangible and something we see everyday when we leave and come back to our homes. Most of us have doors that are colored white or brown, or something similar in tint. In other words, we go for neutrals because it’s safe, acceptable, and within the social norms. “From a sociological perspective, social norms are informal understandings that govern the behavior of members of a society” (Marshall, G. Oxford Dictionary of Sociology). In other words, doors in the Philippines are neutrals like white or brown because society has dictated that those are the acceptable colors. When you travel, you will see how other people live their lives, and how social norms change from culture to culture. That’s what makes the world so interesting. What I’m trying to show here is that we don’t need to follow convention, especially with regard to our condos, houses and other personal spaces, offices too if we have any say on the matter. 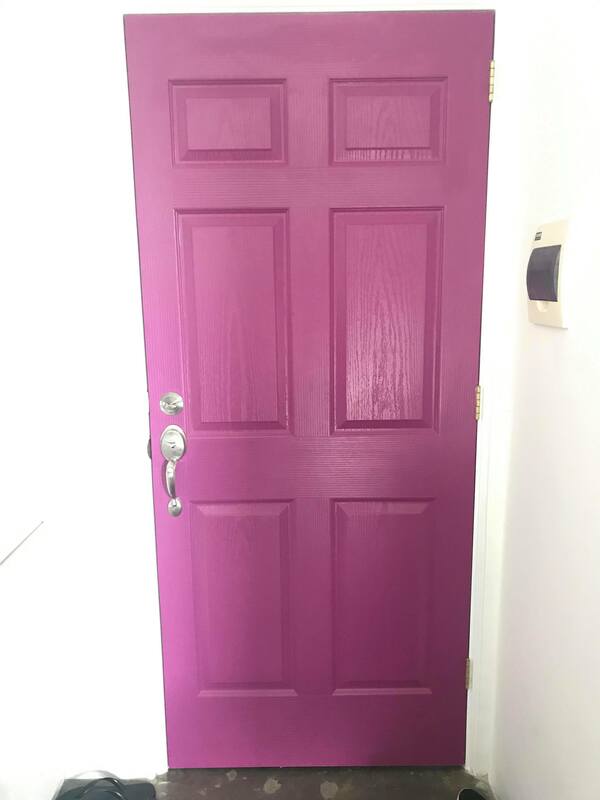 A niece with offbeat tastes wanted the developer to paint the door of her new condo fuchsia. The developer obliged. 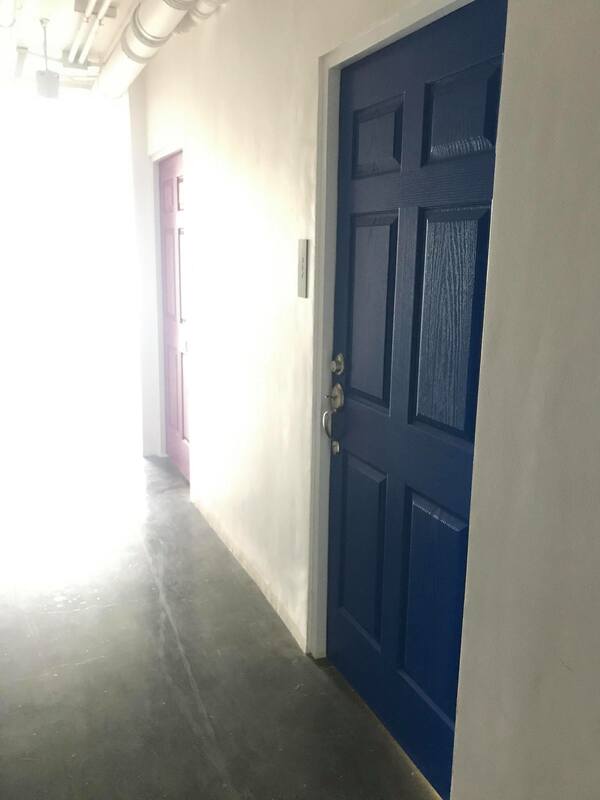 Weeks later, she got miffed when she found a neighbor’s door painted the same color. Today, her corridor looks like this. She’s still at the “grrr” stage 😁. So you see, it just takes one to overturn the norm. Norms, like averages, should not be reasons for us to conform. Let’s find out which colors appeal to us, then let’s feel free to express ourselves with our own unique hues. Make 2018 the year that we discover our personal styles. Let’s start with our doors. I’m a Boysen user evry year I changed the paint in our home I used Boysen… I already informed Boysen last few months ago regarding our pain in the ceiling using Boysen … it was cracked and not nice to use anymore…. I dissapointed . Im worried if going to use it again for this new year that I want to re paint it again. I’m so sorry to hear about your experience. Cracking usually has something to do with surface preparation. I’d like to forward your message to our Technical Department so that they can help you. If you don’t want to give me your email address here, please email it to info@myboysen.com.